Hey Guys! 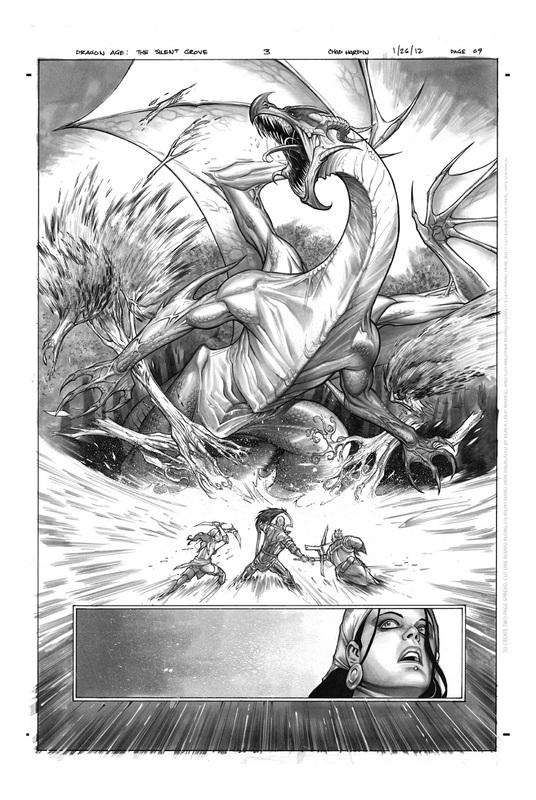 Dragon Age #3 is out today. Check out some of the interior art. Scott has Issues #1-3 for sale up on his site. Check out the pages in black and white and buy a few! They are priced to move so jump on it get the pages you want before they are gone. Click here :http://www.catskillcomics.com/Hardin.htm or just click the Catskill Comics link in the corner of my blog. Hot damn, Chad - this stuff is fan-freaking-tastic! Are you doing gray markers over your inks? Or is that digital grays?